Defined by Character. 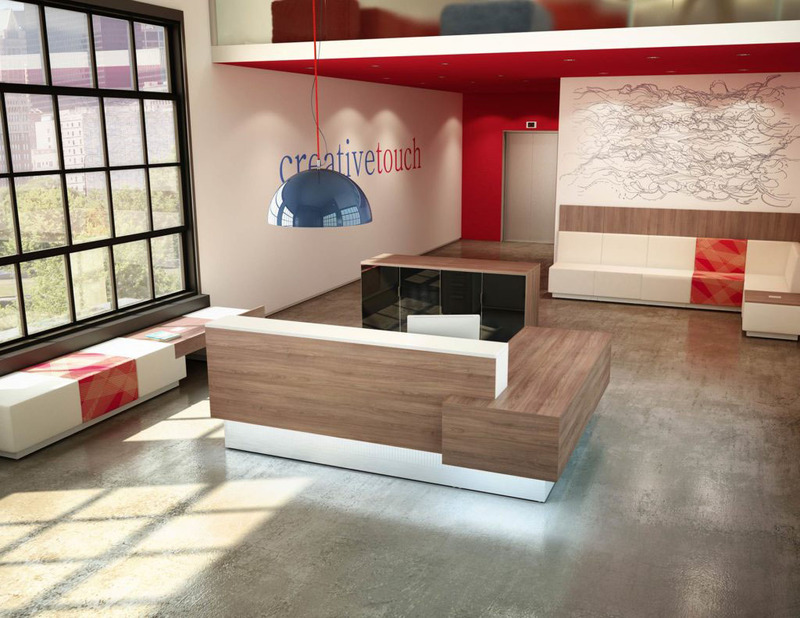 The distinctly urban feel of the Inbox reception series makes a bold statement with impressive simplicity. 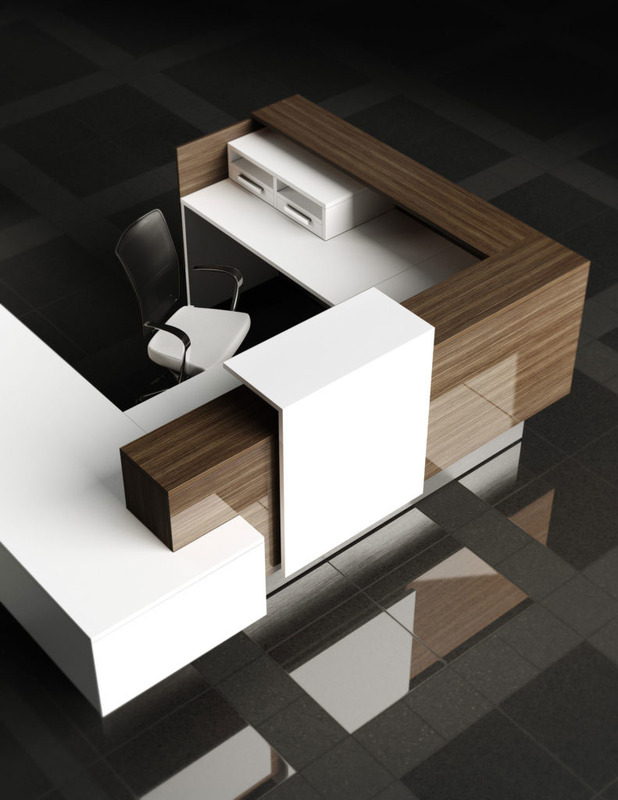 Express your unique style with accent lighting and a wooden or lacquered transaction top, and make this reception desk the functioning heart of your office. 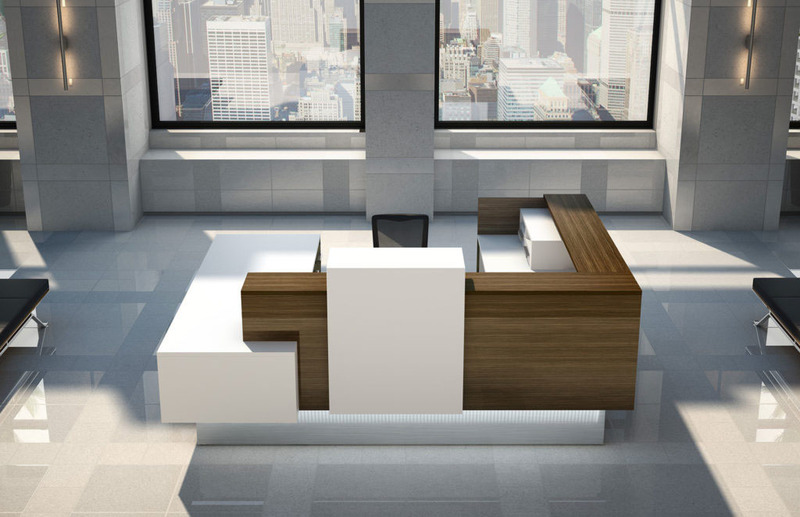 Perfect for modern, urban office spaces, the Inbox reception series offers unique configuration options to maximize your space and increase productivity and style. 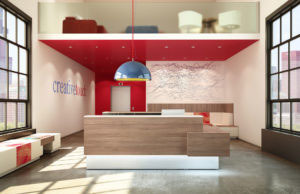 With its clean profile, stunning finishes, and visual depth, Inbox makes a lasting impression at first glance. 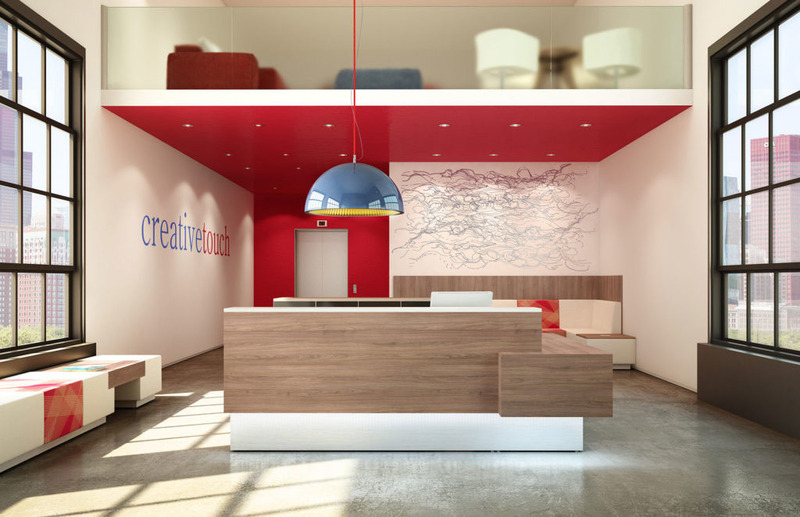 Configurable – Unique configuration options make the most of your space. Modern Style – Crisp angles and uncluttered geometry give Inbox a clean profile. 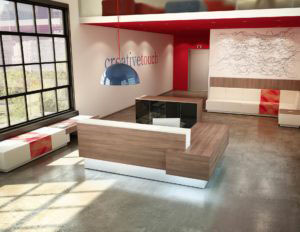 Make a Statement – Contrasting volumes and stunning finishes combine to create visual depth and impact. 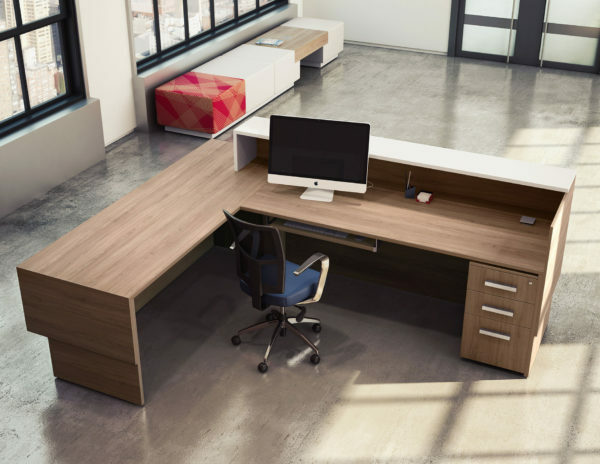 Get Organized – Layered surfaces encourage organized multi-tasking. Some Inbox components may be compatible with other Logiflex collections. Please contact a Source team member for more information.